Babies usually start to talk around the age of two, but they can learn to communicate through sign language as early as six months. Using simple signs, babies can and love to tell their parents how they feel and what they need. Rather than guessing what is in the mind of a fussy infant, parents could "talk" with their babies and discover when they are hungry, tired, ready to play, feeling unwell, or ready for a hug. 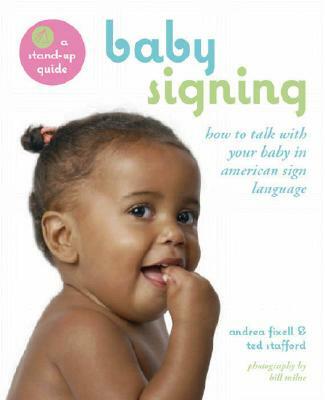 Learning sign language also helps babies acquire the mental building blocks for speaking, and studies prove that babies who learn to sign are better at language than those who don t.
Andrea Fixell has a master s degree in deaf education and has taught deaf and hard of hearing children at public and private schools in New York City. Together with coauthor Ted Stafford, she founded Sign-a-Song, which organizes classes and concerts for parents and babies to learn sign language through song. Ted Stafford formerly worked as an editor and writer for an educational publishing firm. He currently teaches guitar and music theory and performs for children and adults in the New York area."